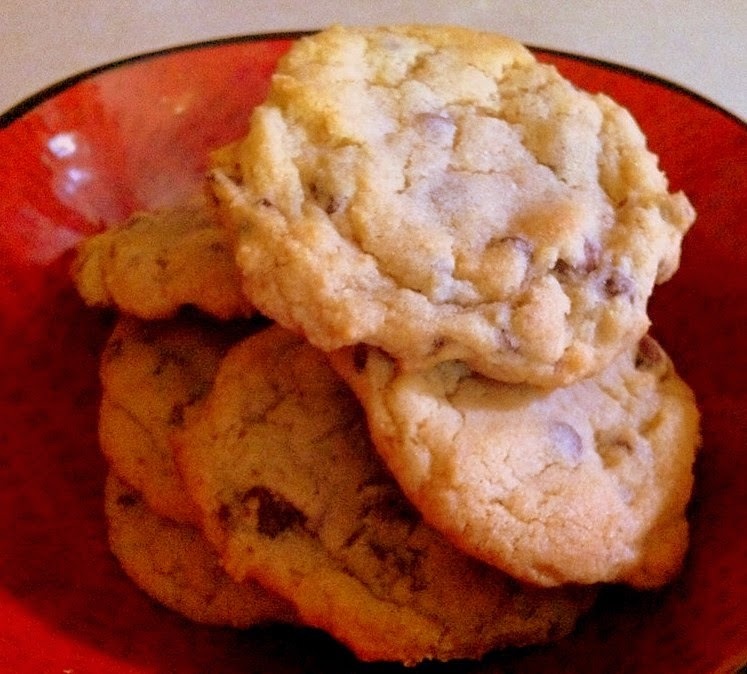 Today I am going to share with you the recipe that I made practically by mistake, but has now become the most addicting cookie the hubs and I have ever eaten. The mistake was that I totally messed up a recipe I was originally following. I added more flour and sugar than it called for. An extra egg...and I used sea salt just to see what it was like. I ate one. Then the hint of salt that lingered in my mouth made me want something sweet. I ate another. Again. The perfect marriage of sweet with the salty was almost like an out-of-body experience. Okay, not that extreme. But you totally get the idea? Right? 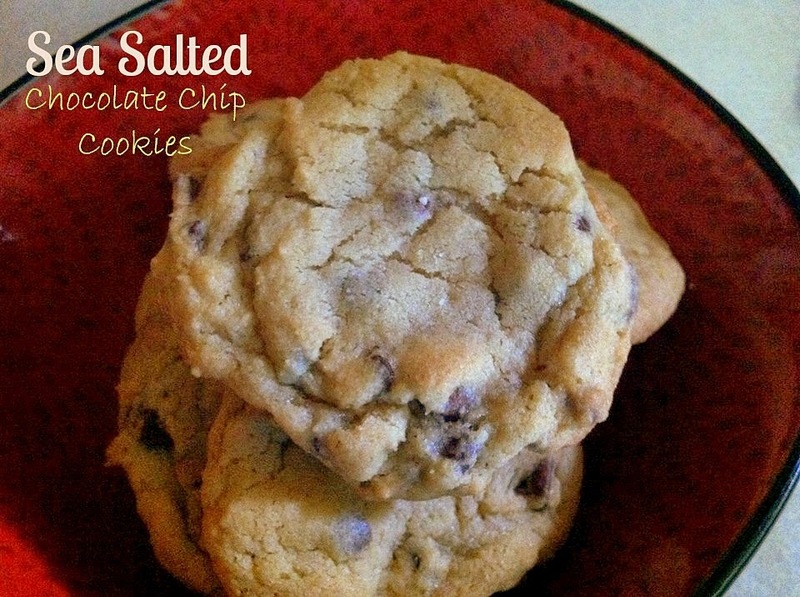 Please, do yourself a favor and go buy some sea salt and make these. You'll find other things to use the salt for. I buy ours at the Asian grocery store because it is super inexpensive there. We always buy fine sea salt for my hubs to add to his steaks, but one day I mistakenly picked up coarse sea salt. That's what I decided to use with these. They were super coarse pieces, so I smashed them down some more using a meat tenderizer, and the pieces worked perfect on the tops of these. In a stand mixer, cream together the butter and sugars until fluffy. Add the eggs, one at a time, and the vanilla. Slowly add the flour, baking soda and sea salt. Using a tablespoon-sized scoop, scoop out the dough onto baking sheets. Press the tops of the dough down slightly to make flat. Sprinkle the tops of the dough lightly with the coarse sea salt. Bake for 7-9 minutes, or until browned around the edges and puffed in the center. Remove from the oven and let rest on the baking sheet for a few minutes before moving the cookies to finish cooling on a wire rack.